Home > Civil Rights > Can I Record Police on Video Without Their Consent? In recent years there has been a lot of attention brought to police brutality and misconduct. A big part of that is due to many videos going viral on the internet that showcase this misconduct. As a result, there has been much discussion on the legality of recording officers who are performing their job without their knowledge. Before the recent ruling that legalized filming a police encounter without an officer’s consent as protected within the first amendment rights, there were many discrepancies over the issue. Civilian recordings have been particularly enlightening of police encounters with unarmed African American men and women and have rapidly circulated on social media, making them very high-profile incidents. These videos that have been released had led to the creation of the Black Lives Matter movement, as well as furthered the discussion of police reform and technology. This is where a lot of the push to have police officers wear body cameras has stemmed from in an effort to hold them responsible for their actions. There have been several cases of civilians being punished and arrested for recording law enforcement. In 2007, prosecutors tried to charge one of the individuals under the wiretap law. The court ultimately dismissed the charged. When the individual decided to file a lawsuit claiming that his first amendment rights had been infringed on, the 1st U.S. Circuit Court of Appeals sided in his favor. They ruled that the officers had infringed on his freedom of speech. They affirmed the right to record, stating that under the first amendment the government is not allowed to limit the stock of information from which the public may draw. However, there has also been charges beyond someone secretly filming a police officer. An individual was charged for teaching a passenger how to covertly record their interaction with a cop during a traffic stop. Another individual was charged as an accessory to illegal wiretapping because she was aware someone was taking a secret recording during a traffic stop and did not alert the officers of this. While the Supreme Court has never specifically addressed this issue, many appeals courts have held that the first amendment plainly protects the filming of officers and the public. During these rulings, many troubling things were uncovered. For example, the Boston Police Department even had in their official training manual that officers were allowed to arrest and charge people who secretly recorded them performing their duties in public. There has also been a lot of discussion on the police wearing body cameras and how effective they are. They are supposed to protect both the police officer and those they interact with, but there are many outside factors that can cause this footage to be unreliable. 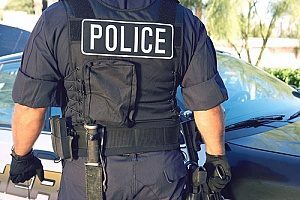 There has been an active push to make all officers wear them, but there are still many practical issues surrounding their use that they aren’t in use everywhere. Some of the problems with police wearing body cameras is figuring out data storage and data fees when the cameras have to be on, and where the camera is worn and what it will show. Law enforcement being equipped with body cameras is likely a topic that will increasingly develop with more hearings and court rulings. As such, it is even more important to be aware of your right to take your own recording. When dealing with an encounter with the police it’s very important to know what rights you have. You have the right to film or take an audio recording of the police, just as they have the right to film you with body cameras. If you’re walking down the street you do not have to stop and answer an officer’s questions unless they have a lawful reason to force you to stop. It is within your first amendment rights to ask about their lawful reason to stop you. During a traffic stop, you don’t have to answer any questions, but you do have to provide your license, registration, and proof of insurance as you agreed to do so when you got your driver’s license. You should never get out of the vehicle unless asked or behave in a disorderly fashion. The Federal court has ruled that it is legal and within your rights to film the police without their knowledge. This has led to a monumental shift in civilian/police issues. This is finally a way that civilians can protect themselves during police encounters and have legitimate proof about what happened. Don’t let police officer try to take away your first amendment rights. You are allowed to film them or take an audio recording without their knowledge. Along with this decision, it furthers the right to film anybody in a public space. 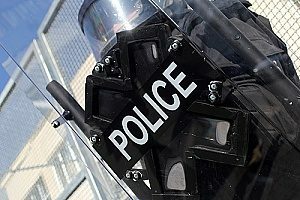 Many people believe that by filming civilian’s interactions with the police they are fulfilling a civic duty of exposing official wrongdoing. Speak to a Fairfax defense attorney for more information about the changes in the first amendments authority in video-recording law.